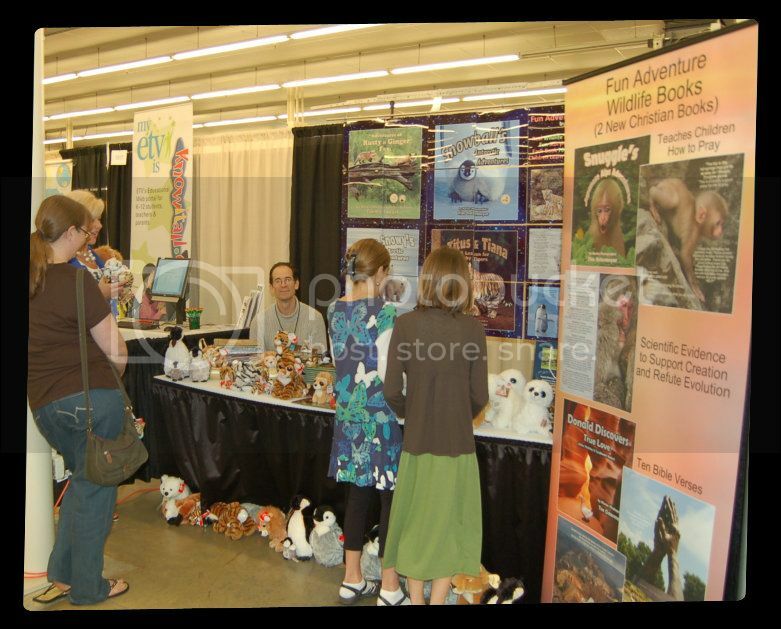 While at the Teach Them Diligently Convention I also discovered Fun Adventure Wildlife Books written by Master Photographer Time Ostermeyer. His booth was the first one I stopped at on Thursday night because I decided to start at the back of the convention hall and work my way forward. The first thing that caught my eye with these books was the amazing photography. The books are so gorgeous (coffee table book worthy). Tim told me how all the pictures in the books were taken by him which amazing me even more. He has ventured into some of the most amazing areas of Africa, Antarctica, The Arctic, Australia, New Zealand, Southwestern United States and Asia. And has captured photos that only a handful of photographers have the opportunity of doing. 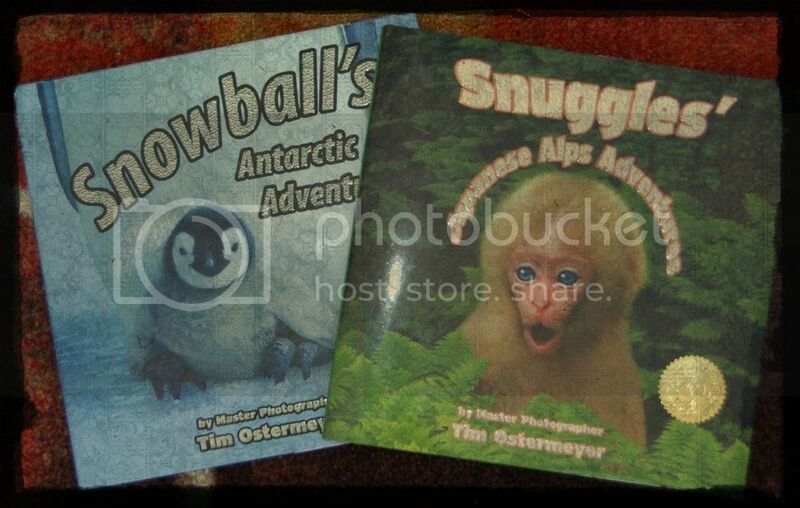 Tim gave me a copy of Snowball's Antarctic Adventure to review but I fell in love with his books so much that I just had to go back and make a purchase. Since we were going to be learning about Primates this month I purchased Snuggles Japanese Alps Adventures and that is the one I will actually be reviewing on this post. It took me about 15 minutes to decide which one I wanted to purchase. All of the Fun Wildlife Adventures books contain a great story highlighting baby animals. Your kids will discover foxes, bears, penguins, tigers, polar bears, monkeys and more. The books are loaded with lots of interesting facts about the animals and geography throughout the books in fact boxes which each contain10 facts. There are also scriptures and great moral messages in each book. Snowball even contains a math fact. Even the moms will learn by reading these books to their kids. One thing that made these extra special for my kids was that Tim signed and dated them and wrote a little note addressed to the kids. If you have the opportunity to meet him at a homeschool convention pick up one, two or all of his books and have them signed it will really mean a lot to your kids. All of the Fun Wildlife Adventure books are hardback and have raised letters on the removable jacket. A couple of Tim's books have received the Mom’s Choice Award and Snuggles received the Christian Choice Book Award. Tim has also received numerous photography awards. Snuggles is about a baby Japanese Snow Monkey who plans ahead to escape the harsh winter of the Japanese Alps. In the book you follow Snuggles and his family on their journey to the Japanese hot springs where they will be able to keep warm all winter. But the journey is not easy they must conquer many hurdles like trees, rivers and large mountains in order to reach the destination. Children will witness the special relationship Snuggles has with his parents.There are 10 scriptures which are all wonderful like this one, "And now these three remain: faith, hope and love. But the greatest of these is love. 1 Corinthians 13:13 NIV". There are some amazing facts about Snow Monkey, The Japanese Alps and even Evolution Theories that have been proven false. There is also a lesson on how to pray. Kids will learn how important planning is and that some people ruin their lives by not planning correctly. This is a book that you will indeed read with your kids over and over again. I love the first page of the book where Snuggles is holding onto his mom. I like his blue eyes. He is so fuzzy and cozy next to his mom. Kids will really like this book. Its a good learning book. His books can be ordered through Amazon or you can contact Tim directly to place an order. I am sure your local book store carries them too. The books range in price depending where you buy them but the average price is $18.95. *Disclaimer - I received a copy of Snowball's Antarctic Adventure in return for my honest review. I was not compensated for my review and all opinions are our own! Many of the links found on my side bars and in my blog posts are affiliate links. As a result, I might get paid money and I will most likely spend the money on homeschool supplies.